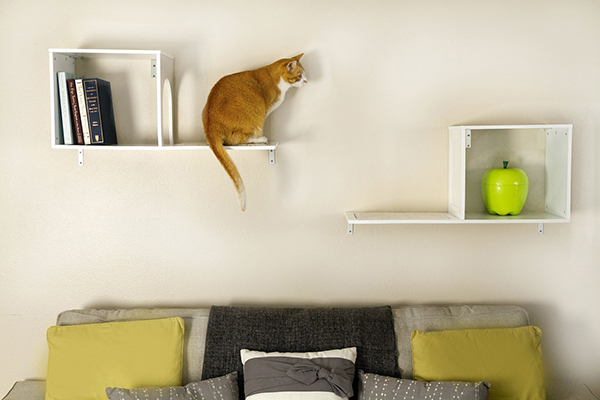 These wall-mounted perches make your home look good and help your cat's climbing instinct. 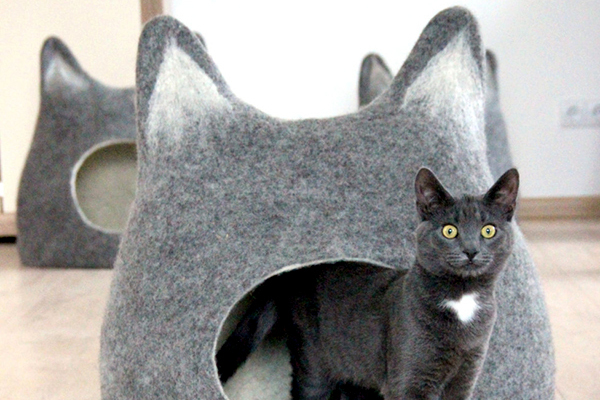 These cozy cat beds will give the felines in your house ideal places to curl up for a catnap. 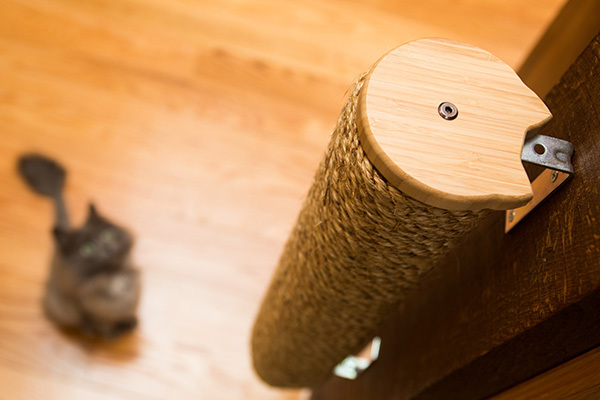 Give your cat something to sink her claws into while eliminating clutter from your floors. 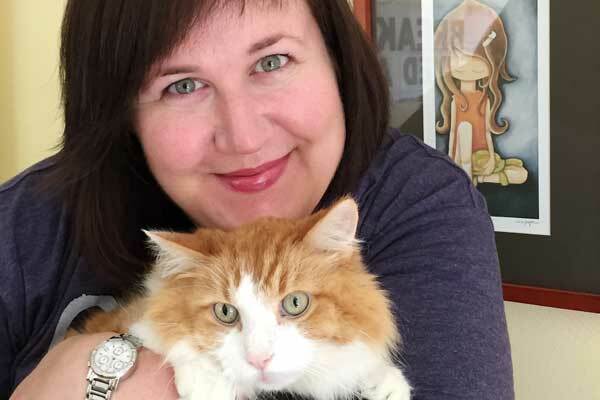 The four-day convention of art, film, fashion, and comic books had a massive cat component. Do you NEED these things? Definitely not. Are they adorable and affordable? YES. 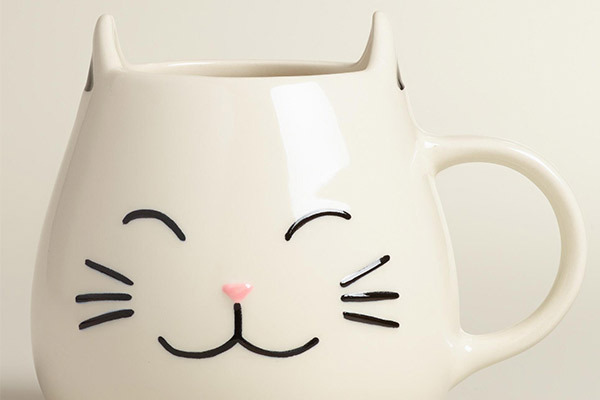 Spoil your kitty, yourself, and your cat-loving friends with these cool, heartfelt picks. 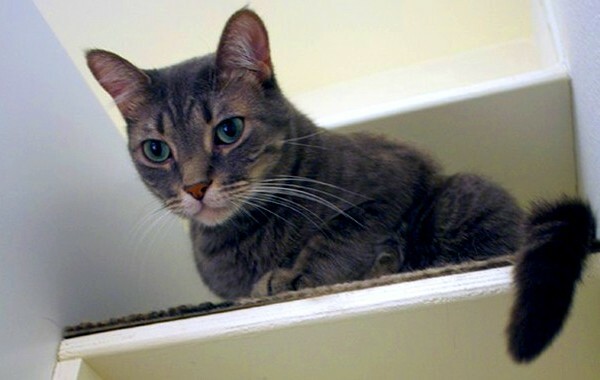 Take advantage of some unused space and give your cat new territory with this DIY project. I recently found one cat in a dog bed. 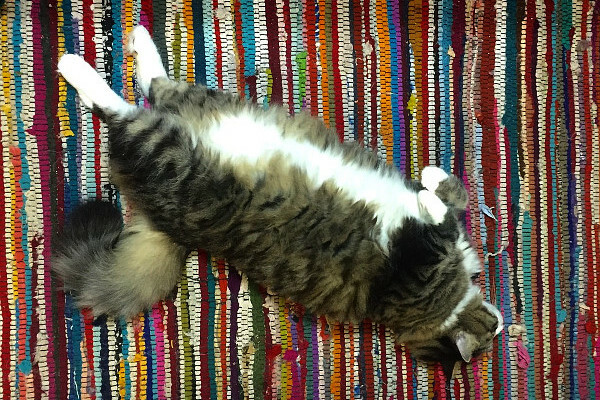 What funny locations have you found your pets sleeping in? 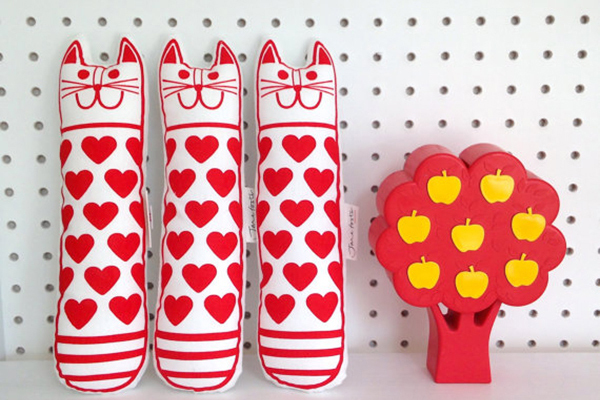 We chat with the owner of K Grant Designs, maker of some of the coolest cat toys we've seen. 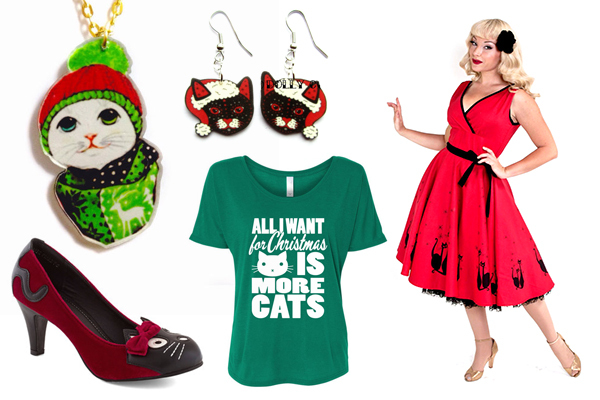 Trade your ugly holiday sweaters for these stylish cat-themed dresses, shirts, and accessories.